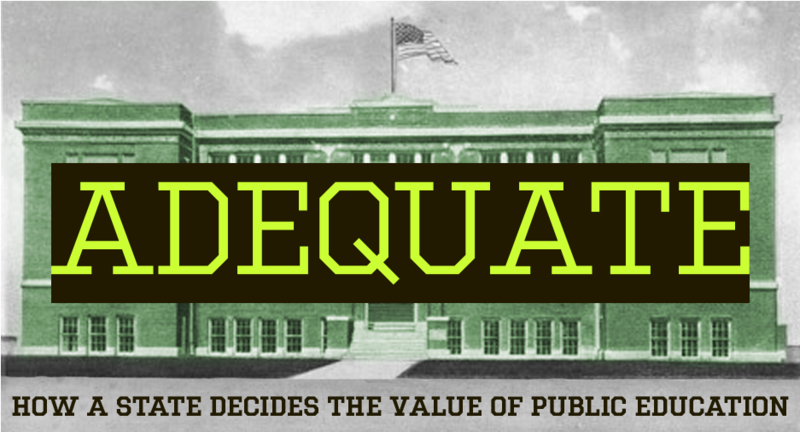 "Adequate: How a State Decides the Value of Public Education," examines how New Hampshire funds public education. This special series by NHPR's education reporter Sarah Gibson begins airing Thursday, March 21. Additional reports will air on March 28, April 4, April 11, and April 18. For schools across New Hampshire, special education is a growing need and a growing cost. Nowhere is that more apparent than in Manchester, the state’s largest district, where special ed expenditures have nearly tripled in the last twenty years. On Thursday, the Democratic-led House will vote on its version of the state budget. The budget, which is expected to pass, includes a $160 million increase in state aid to schools - the largest since the state ramped up funding twenty years ago in response to the Claremont lawsuits. But with Governor Sununu’s veto pen at the ready, the budget faces an uphill battle in the next few months. A Cheshire Superior Court judge has denied a preliminary request by the ConVal and Winchester school districts for expedited funding from the state. In a lawsuit filed last month, the two districts argued that New Hampshire is not meeting its constitutional obligation to fund an adequate education for every student in the state. Teacher salaries make up a big chunk of school budgets in New Hampshire. Pittsfield has never been able to offer high salaries, but with creative projects in the past few years, it’s attracted good teachers and high praise. With recent state cuts, though, many say that’s become impossible to sustain. A school funding lawsuit against the state got its first hearing at the Cheshire County Superior Court on Friday morning. The two plaintiffs, the Contoocook Valley and Winchester School Districts, argue that the state is not fulfilling its constitutional obligation to fund an adequate education for all New Hampshire students. The city of Berlin has been making some tough decisions lately. As state aid for education declines, Berlin is struggling to keep its schools open. And it’s not alone. Some towns have brought lawsuits against the state, claiming it isn’t covering enough education costs. Last week, the ConVal School District sued the state, claiming that lawmakers are failing to fund an "adequate education" and that local taxpayers are shouldering more than their fair share. This isn’t the first time New Hampshire has seen an education funding lawsuit. Districts across the state - from Claremont to Pittsfield - made similar arguments in court decades ago. And they won. Another School District Joins Ed-Funding Lawsuit in N.H.
A school funding lawsuit filed last week against the state is getting some support. The Monadnock School District announced Tuesday it’s joining the ConVal School District’s efforts to sue the state over education funding. The lawsuit claims the state is not meeting its constitutional obligation to pay for an adequate education and it seeks millions more in funding. In a move that surprised many education funding advocates, the ConVal School District in southwestern New Hampshire filed a lawsuit today against the state, claiming lawmakers have failed to fund an adequate education. The complaint names the state of New Hampshire, the New Hampshire Department of Education, Governor Sununu and DOE Commissioner Frank Edelblut as defendants. It says the "adequacy aid" that the state sends to districts needs to triple to meet basic requirements laid out in state law. School districts across New Hampshire are deciding on their annual budgets this month. Many are facing spending increases and tough decisions due in part to loss of funding from the state. NHPR’s Sarah Gibson attended the annual school district meeting in Hopkinton this weekend to hear how people there are weighing big budget proposals against concerns over rising property taxes.